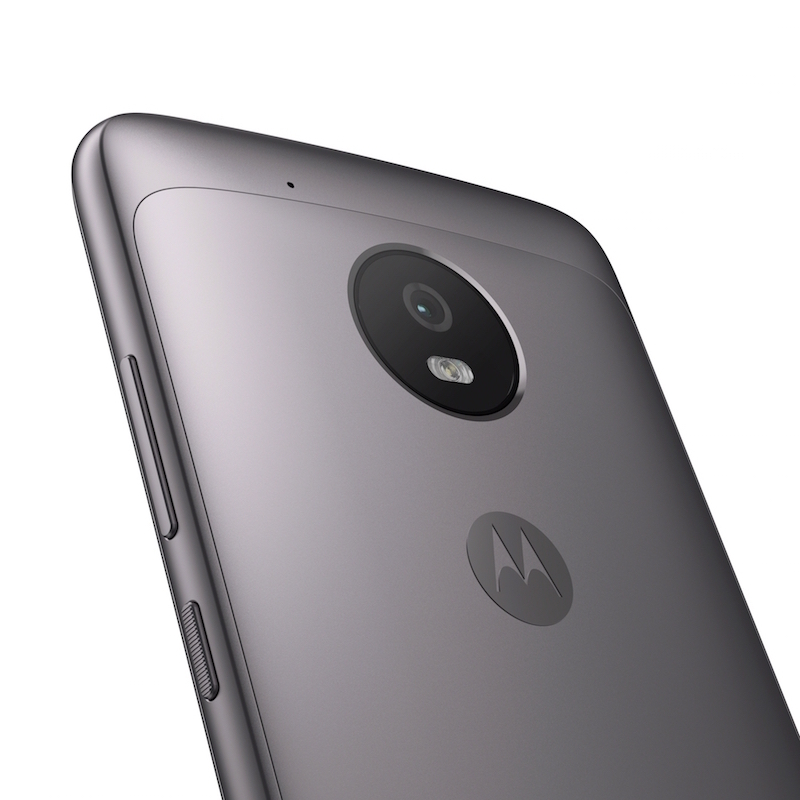 The G5 and G5 Plus pack a premium looking metal design body which is identical to the Moto Z family. The phones run on Android 7.0 Nougat out of the box and sport a Full HD 1080p IPS display with Gorilla Glass 3 protection. Both of them carry a Fingerprint sensor on the front in addition to on-screen keys. Motorola’s signature water-repellent nano-coating is present on both the devices. They come with Google Assistant support and include Moto software features like Moto display and camera gestures. Sadly, neither of the duo support Wi-Fi ac. Comes in 2 colours – Fine Gold and Lunar Gray. The Moto G5 comes with a 5.0-inch display whereas its elder brother G5 Plus sports a little bigger 5.2-inch display. The G5 is powered by an entry-level Snapdragon 430 processor while the G5 Plus comes with Snapdragon 625 SoC, which is one of the best mid-range chipset in terms of performance and efficient battery life. The G5 and G5 Plus processors are clocked at 1.4GHz and 2.0GHz respectively and both have different Adreno GPUs. The G5 comes in storage capacities of 16GB or 32GB with 2GB/3GB RAM whereas the G5 Plus comes in 32GB/64GB storage with RAM ranging between 2GB – 4GB, depending on the market. There is an option for storage expansion up to 128GB via microSD card on both the devices. The G5 packs a 13MP camera with f/2.0 and phase detection autofocus whereas G5 Plus has a slightly better 12MP camera with f/1.7 aperture and Dual Autofocus pixels, that allows focusing 60% quicker than the G4 Plus. The G5 Plus is also a notch higher with its 4K video recording capability which is limited to Full HD on the G5. Both the devices have a 5MP f/2.2 front camera. The G5 Plus is equipped with a bigger 3000mAh battery as compared to the 2800mAh battery on the G5. Moreover, G5’s back cover and battery are removable but that isn’t the case with G5 Plus. The G5’s battery supports 10W rapid charging while the G5 Plus is compatible with 15W Turbo charger that claims to give about 6 hours of battery life in 15 minutes of charging. Unlike G5, the G5 Plus features a new “one button nav” option that disables the on-screen buttons and allows navigation by swiping on the fingerprint sensor (swipe left for back and swipe right for multitasking). This eventually gives more screen space to the user. Though both the phones feature a similar design language but the Moto G5 Plus looks aesthetically better than the G5. However, the G5 Plus has a raised camera module to retain slimness. The 3.5mm audio jack and micro USB port are at the bottom on G5 Plus whereas on the G5 they’re placed at the top and bottom respectively. Also, the G5 Plus is relatively slimmer at 7.9mm as compared to the G5 which is 9.5mm thick. 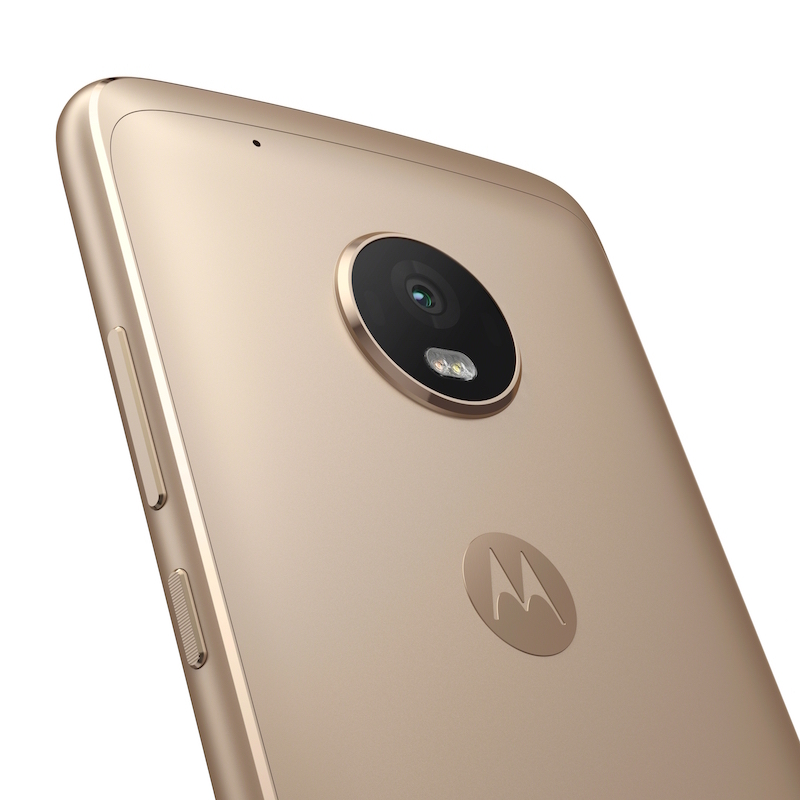 Pricing – The Moto G5 starts at 199 Euros ($ 210) for the 2GB RAM, 16GB storage variant. The Moto G5 Plus starts at $ 229 for the 2GB RAM with 32GB storage version and 279 Euros ($ 294) for 3GB RAM with 32GB storage variant. Both the G5 and G5 Plus will launch worldwide starting in March. Update – The Moto G5 Plus is launching in India on 15th March. Here’s the official announcement made by @Moto_IND on twitter. You either get a flaunt-worthy phone or a fast processor. #WhyCompromise when you can get both? Wait for the #MotoG5Plus.